Rattan Peel (split) It is the bark\skin of rattan. Good rattan peel, cut from proper rattan is strong, uniform in width & thickness, straight, firm body, smooth texture, light color, and long length. Rattan Peel is the most valuable part of rattan, that can be made into chair seat (to support weight of a sitting person). Small sized rattan peel (2mm, 2.25mm, 2.5mm,...3mm) are called chair-cane, and they are the most popularly versatile materials used in chairs, screens cabinets and baskets. 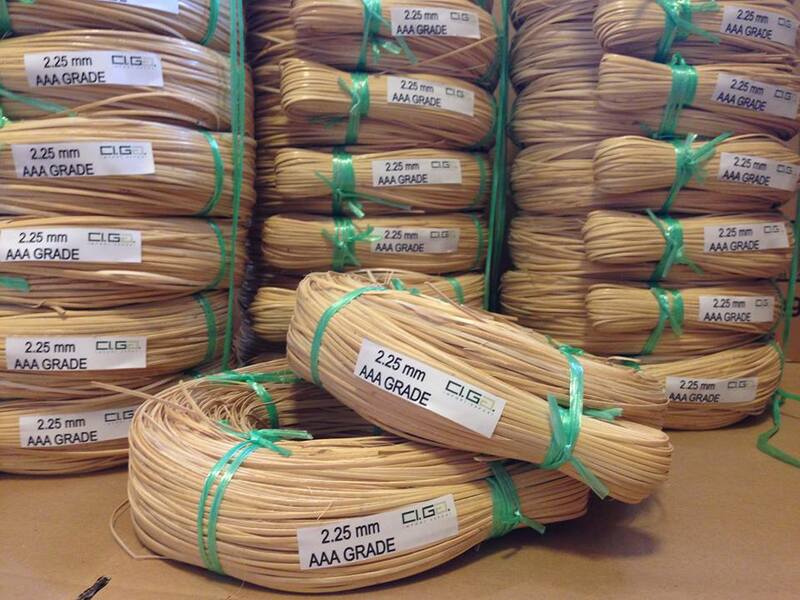 Binding-cane is rattan peel in size 4mm up to 7mm. Rattan peel made for hand weaving are usually slightly thicker, edges shaved, whereas those made for machine weaving and economical production are thinner.